This guy hit the news after his trip to Kenya. Being Kenyan, it wasn’t special that Dominic Owuor Otiang’a had gone home, what was special was however, the fact that he brought a different kind of visitor home, the German Foreign Minister, Dr. Frank-Walter Steinmeier. Unlike many that accompanied the Minister on his trip around Africa a few days ago, Dominic got a special mention in Steinmeier’s speech. “Please allow me to start by introducing a special guest who has been accompanying me these last few days. His name is Dominic Owuor Otiang’a. 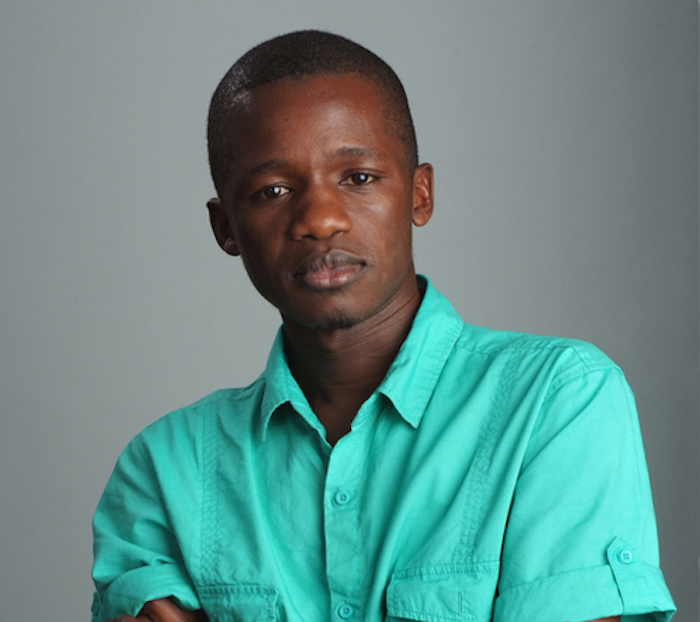 He is a young Kenyan writer from Busia who currently lives in the small city of Esslingen in Southern Germany. Mr. Otiang’a has written a remarkable novel called “The German Dream”. At the same time funny, sad and true, it talks about the experiences African migrants have to face in Germany. The stereotypes – positive and negative. The daily struggle, the homesickness and the confusion one encounters in an unknown country. Born in 1987, Dominic is one of the youngest published novelists in Kenya. After pursuing his studies in history and Chinese language and culture at the Confucius Institute of the University of Nairobi in 2011, he ventured into full time writing. His first novel United By a Strong Force of Separation was published earlier in 2009 and later republished in 2012 as a revised edition. Dominic Owuor Otiang’a also penned several short stories including My Driving License – A Real Life Experience that became the story of the month at Storymoja Africa in October 2009. In 2012, he published the play The Nairobi Broker – From River Road to Harambee Avenue and The Dallaian Immigrant (a story of an immigrant in Germany). Currently living in Germany, he is a receiver of the Schloss Solitude stipendium. On the side he contributes to the Berlin Post and has just completed a new novel, “The German Dream”, which is a sequel to his novel, The Dallaian.